Junior Adventure Dive Trips are for qualified Junior divers age 10 to 15. These dives are for children only and group of Juniors won't be mixed with adults on those trips. 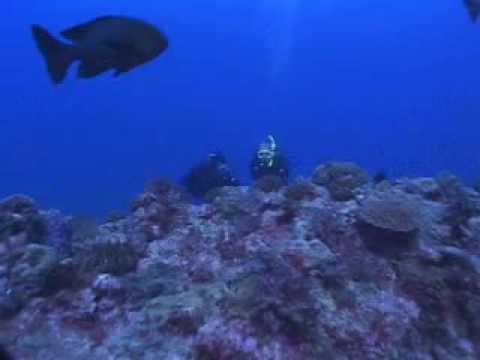 Adventure Dive helps you get more out of diving by introducing you to new types of scuba diving adventures. It's a great opportunity to work with your instructor to build your scuba diving skills and gain more confidence. Need to work on your buoyancy skills? We will try the Peak Performance Buoyancy Adventure Dive. Do you want know more about local marine life? We will try Aware-FISH Identification dive. You use all your basic scuba gear including your underwater compass. Depending on which three adventure dives you pick, you may also try out underwater photography equipment, a dive light, lift bags, a dive flag/float or other speciality gear. After your PADI Adventure Diver certification, you can take the next step by completing two more adventure dives. If you've completed five total adventure dives that include deep and navigation, you're a PADI Junior Advanced Open Water Diver.